Staples' Abby Fagan, No. 18, uses her head. Although Fagan was formidable in the midfield by winning most balls in her area and tallied five goals and nine assists, she didn't receive any honors from the FCIAC. Players are unjustly left off of all-star teams every season, and this year is no exception. Picking all-star teams is a subjective practice. But when it comes to FCIAC honors, the Staples girls soccer team had three players and the volleyball team one who deserved at least honorable mention but weren't recognized. Let's start with senior soccer captain Abby Fagan, who won many balls in the midfield, and her physical play created transition opportunities for the Lady Wreckers. Fagan finished the year with five goals and nine assists, with many of her points coming in clutch situations. Her leadership carried the team to the Class LL semifinals, where it lost to the eventual champion on penalty kicks. Fagan was a four-year varsity player and was highly recruited to play soccer ball before the season began. She has committed to play for Connecticut College next year, and how ironic is it that she's good enough to play in college, but not good enough to at least get Honorable Mention from the league. If it was up to me, Fagan would get Second Team All-FCIAC honors. Junior forward Turner Block is another snub that didn't make sense. Block got the offense going and was the team's second-leading scorer with 14 goals and three assists. She had her share of multi-goal games and beat many opponents with her speed. In bolstering the case for Block, her contributions weren't limited to the front line. She also played defense and did it well as she broke up many plays. If it were my call, Block, too, would have been Second Team All-FCIAC selection but if had received honorable mention, I would have been able to live with it. Perhaps the biggest snub for Lady Wrecker soccer was junior defender Siri Andrews, the team's Secretary of Defense who broke up plays all season. She is quick and tenacious in the backfield in executing her tackles, and constantly cleared the ball. Staples was a better team when Andrews was in the lineup. 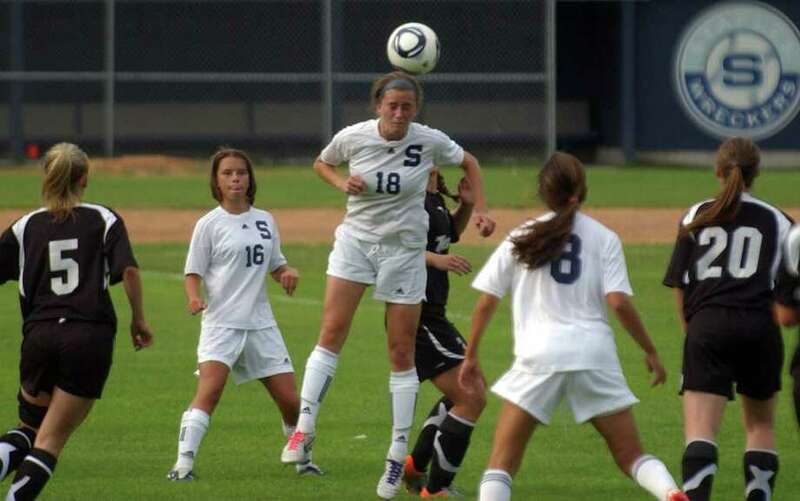 For example, she was injured at Wilton in a game the Lady Wreckers led 1-0. After she was out, Wilton took advantage, and the game ended in a 1-1 tie. Andrews is one the most fundamentally sound defenders, and if it were up to me, I would have voted her First Team All-FCIAC, and at minimum, she deserved Second Team All-FCIAC. Staples volleyball senior captain Kenzie Roof deserved All-FCIAC Honorable Mention. Although her stats aren't gaudy, Roof made the Lady Wreckers a better team by executing the small details that helped them win matches. For example, she never hesitated to hit the floor and rob opponents of kills. One thing that can't be quantified is Roof `s leadership. She was a sparkplug both in practice and in matches and gave the Lady Wreckers a legitimate chance to win the FCIAC title. No one is perfect, and even all-star selectors make mistakes. Unfortunately for Fagan, Block, Andrews and Roof, these errors were made at their expense. They were short-changed.